My main character Cornelia Jones is a wealthy, upper class woman who very much enjoys the privileges of her class. Fine clothes, dinner parties, and a house full of servants is what she expects out of life. She’s not arrogant or snobbish, but she is accustomed to luxury. The 1920s saw a booming economy and a world of people ready to put the grimness of the Great War behind them. 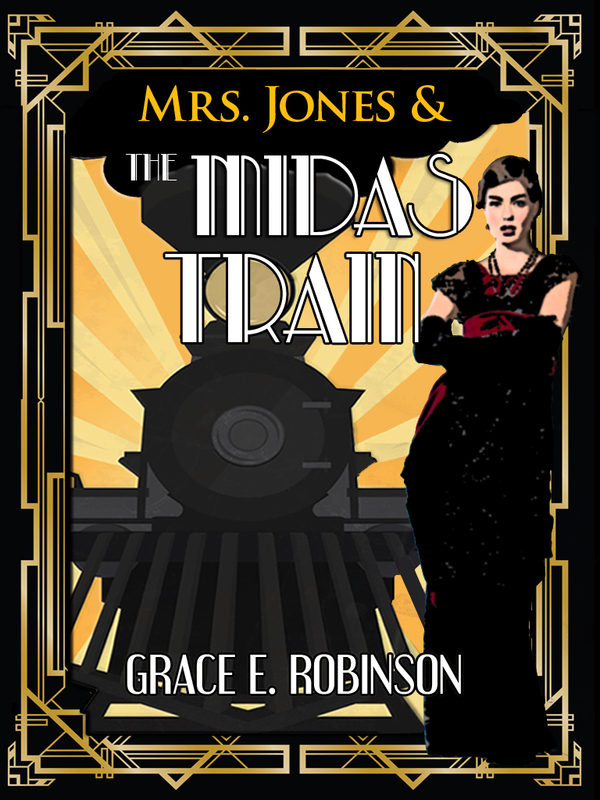 For a character who loves the glamorous life, the Roaring 20s was an obvious choice for a setting. While my main character is neither a flapper nor a suffragette, she’s a very independent woman. She likes her tea parties and bridge clubs, but she doesn’t sit at home doing needlepoint in her spare time. She’s on an ongoing quest to bring her husband back from a life-threatening tragedy, and she doesn’t need anyone’s help, thank you very much. Much of what Cornelia does goes under the radar of normal society (keeping the magic and advanced technology a secret), but the changing social structure of the 20s makes her work a little easier. Science, technology, and industrial progress was booming in the 1920s. That’s another reason I chose this decade, as scientific advancement is a key element of these stories. Cornelia’s husband is a scientist and inventor; and while much of what he invents is fantastical (hence the “dieselpunk” element), I wanted it to be time-period appropriate. No smart phones or robotic vacuum cleaners in this world—but there are flying machines, ray guns, and souped-up typewriters. Einstein, Edison, Tesla, and others were at the height of their careers in the 20s, and all the newly-emerging scientific breakthroughs provide rich storytelling fodder for my world. This is perhaps the biggest reason that I chose the 1920s: I love that time in history! It’s a decade that I already knew something about before I began this dieselpunk series, and I already knew that I liked this time period. Writing about the Roaring 20s is fun! If you’re writing historical fiction/historical fantasy, then go with a time period that you like. Writing can be hard, so it’s important to go with a time period or aesthetic that interests you. Writing is a lot of work, but it’s supposed to be fun, too! If you’re looking for the right time period, setting, or overall aesthetic for your historical fantasy, I’d urge you to study real history, and maybe even read some historical fiction (of a non-fantasy variety). Study different time periods, different cultures, different events. Whether your story is set in the real world like mine, or it’s alternate history, or even a full-on fantasy world, start with real history as your jumping off point. I completely agree: if we want to write historical fiction (even historical fantasy) we need to study true history first, and study it very thoroughly, so we’d better choose a time periode we like, because we’re likely to sped hours, days, weeks, months… sometimes years in that time. It is hard work, but personally I find it extremly rewarding, even on its own merit.